With the global online gambling market set to rise from it’s current $47.11 billion in 2017 to some $59.79 billion by 2020, it’s clear that the world of online gambling is a force to be reckoned with. In this article we take an in-depth look at the biggest players in the global market and compare how they rate across a number of key criteria. We’ll look at each company’s market capitalization, number of employees, history and current brands. We’ll delve into each operator’s history and reputation to take an up-close look at how they run their businesses, scandals, fines and lawsuits past and pending. All of the online gambling companies we look into here are publicly traded, so we’ve taken the time to dig through their annual reports to examine their forecasts and warnings to present you with a clear overview of who is who and where they stand in today’s growing, multi-billion-dollar marketplace. Founded in 1997, 888 Holdings operates a number of online brands including casino, poker, bingo, sports betting and social and mobile gaming platforms. It’s casino holdings: 888 Casino, 888 Games, 888 Casino Live, 777 comprise 60% of its business to consumer (B2C) operations, with sports books coming in at 18%, poker coming in at 16%, and bingo 8% of its total B2C revenues. In the business to business sector, which pulls in 10% of the company’s $540 million in 2017 revenue, 888 Holdings operates Dragonfish, which provides online gaming solutions including over 300 games, poker and bingo platforms, mobile optimization solutions, multi-channel casino marketing, operational support services, and e-payment solutions. It’s been a bit of a rough year for 888 Holdings, with 2017 revenues up a modest 4% to $541.8 million, but pre-tax profits taking a brutal 68% dive to come in at $18.8 million. The dive in profitability comes as the result of two exceptional factors. The first was a value added tax burden in Germany that forced the company to set aside $50.8 million. The second, 888 was hit by a record fine of $10.45 million in the UK for “outrageous” failings, after more than 7,000 people who had voluntarily banned themselves from gambling were still able to access their accounts. In levying the fine, the UK Gambling Commission found “significant flaws” in 888’s efforts to protect consumers from harm, including a technical failure in the company’s IT systems that allowed players participating in the company’s problem gambling self-exclusion program to deposit $4.69 million into their accounts, and gamble away some $68.3 million in deposits and recycled winnings. Changes in German regulatory law regarding online gambling have lead the company to consider completely leaving the estimated $25 billion German gambling market. 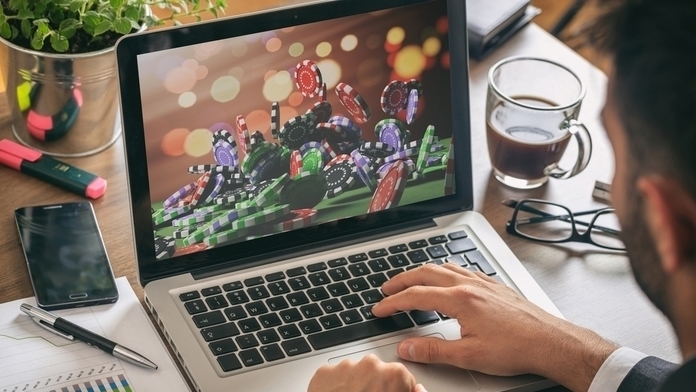 A decision by the German Federal Administrative Court in Baden-Wurttemberg earlier this year ruled that the company’s online gambling operations in the state were illegal due to the lack of a license to operate online casinos in that state. 888 has since appealed to the German Federal Constitutional Court in Karlsruhe in hopes of overturning the ruling in a last-ditch attempt to maintain its online casino operations in the country of 82.6 million. In yet another setback, 888 was also forced to say good-bye to the $22 billion Australian market in 2017, after the Interactive Gambling Amendment Bill 2016 forced outside operators to obtain expensive local licenses or face fines as high as $5.05 million. 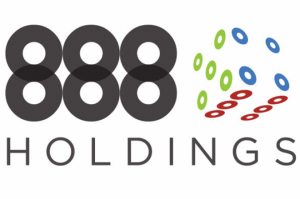 With licensing being a long and drawn out process as well as extremely expensive, 888 opted to step out of the market down under entirely rather than face fines that could include personal fines of over $1 million per day. 888 also followed in PokerStars footsteps in exiting the Slovenian market late last year. 888 currently has online casino licenses in Gibraltar, the UK, Spain, Italy, Denmark, Ireland, Romania, Nevada, New Jersey and Delaware. 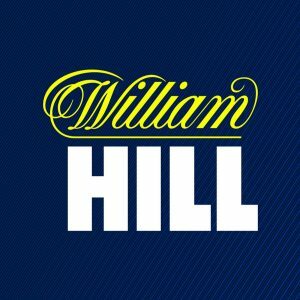 William Hill PLC was founded in 1934, back in the days when gambling was still outlawed in the UK and has a long and tumultuous history. After changing hands many times, in 1971 William Hill was acquired by Sears Holdings, then Grand Metropolitan in 1988, followed by Brent Walker in 1989. Just after the sale, Brent Walker accused William Hill of cooking the books to inflate the company’s profits, eventually recouping $156 million of the original $916 million asking price. In 1997, famed Japanese investment bank Nomura made a bid for the company after Brent Walker collapsed under a mountain of $1.74 billion in debt amid a scandal that saw two of its managing directors do eventual jail time, offering $936 million in a leveraged buyout. After a lack on interest caused Nomura to scrap its plans to take William Hill public, the bank offloaded William Hill to CVC Capital Partners and Cinven for $1.1 billion. As William Hill’s new owners, the private equity funds eventually brought the company public, listing it on the London Stock Exchange in 2002. However, scandal and controversy continued to haunt the ever-growing gambling monolith. In 2004, David Harding, the company’s Chief Executive dumped $6.9 million of his shares to fund his divorce, sending the company’s share price plummeting and shaving $100 million off the company’s value. In 2008, after losing $2.68 million, itinerant gambler Graham Calvert took William Hill to court seeking compensation not only for his gambling losses but also for the loss of his wife, health and livelihood. Calvert claimed that the bookmaker allowed him to continue gambling, and losing, despite his requests to participate in William Hill’s own self exclusion policy, which would have, in effect, barred him from play at his own request. In 2018 William Hill was fined $8.3 million by the gambling industry regulator for failing to protect consumers and prevent money laundering. The UK Gambling Commission held that for over two years up until August 2016 the company consistently failed to spot problem gambling issues and were in breech of anti-money laundering law. As a result of management failings, William Hill allowed 10 customers to make deposits of money linked to criminal offenses while reaping financial gains for itself of $1.6 million. The fine was the second largest ever leveled by the Gaming Commission to date. 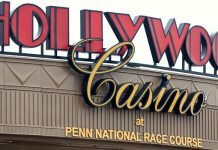 During the investigation, the Gambling Commission learned that William Hill had allowed one individual customer to deposit in excess of $724,000 over some 14 months despite having learned via an unquestioned conversation that the customer’s income was only approximately $488,000 per year. In reality the player made $40,000 per year and had been stealing from his employer to feed his gambling habit. Today, William Hill owns some 2,300 betting shops in the UK, Ireland and the Isle of Man as well as online casinos and a sports betting book. The company employs some 16,600 people to become the largest operator in the UK, accounting for some 25% of the local market. As always followed by controversy, William Hill has been severely criticized for how it teats its betting shop staff, with detractors arguing that the company endangers its employees by forcing them to work its shops alone at night, as well as engage in unpaid work. Created in 1988 as the result of a merger between three Irish bookmakers, Paddy Power would go on to grow from 30 betting shops across Ireland to over 500 in Ireland and the UK today. Quick to realize the potential of online gaming, Paddy Power was an early mover in the online sportsbook scene, rapidly launching a series of online gambling, poker, bingo and sportsbook sites to expand its global reach. Paddy Power also moved quickly into the mobile online gambling space, launching their first iPhone app in the Apple App Store back in 2010, well ahead of the rest of the industry, to be followed by iPad and Android apps that significantly drove revenue growth as the company expanded into global markets including Australia and the US. Today the company operates a number of sites, including paddypower.com, paddypowerpoker.com, paddypowercasino.com, a live casino site at casino.paddypower.com, live bingo at bingo.paddypower.com and paddypowergames.com. In 2016 a merger with UK gambling giant Betfair saw the company’s value rise to over $8 billion, while growth was further fueled by the launch of technology based B2B e-commerce deals across Europe and Australia. Expansion, however, has not come without growing pains, with early problems centered not around the freewheeling sites online gambling offers but their own self-promotion efforts. In 2012 Paddy Power agreed to dole out over $107,000 to cover a fine levied against Danish footballer Nicklas Bendtner for visibly sporting Paddy Power underpants in the course of Denmark’s 2012 Euro Cup match against Portugal. In 2015, famous Irish footballer Roy Keane sued Paddy Power over an advertisement in which the company used Keane’s image to mock Scottish voters standing against independence. The advert, erected in billboard form, used Keane’s face superimposed on an image of Scottish national hero William Wallace as portrayed by Mel Gibson in the film Braveheart with the words “You may take our points but at least we have our freedom” and the salutation “ya wee pussies”. The lawsuit was eventually settled for an undisclosed sum. In 2016 the company was fined by the UK Gaming Commission, the industry’s regulatory body, some $414,000 after a probe found the companies know-your-customer and anti-money laundering practices lacking sufficient controls. As part of the investigation, the regulator revealed that in one case a high-value customer was allowed to continue using Paddy Power’s fixed odds betting terminals without ascertaining the origins of his seemingly endless funds. The punter had told the operator his wealth was the result of owning a series of restaurants, which the operator took at face value. Despite warnings from junior staff that the player was exhibiting all the signs of a problem gambler and should be monitored, senior management saw fit to allow the man to continue playing on premises. He was only advised to seek help for his gambling addiction after another staff member encountered the man on the street only to learn that he had lost his jobs, home and access to his children as a result. Fixed odds betting terminals have been frequently referred to as the “crack cocaine” of betting machines, due to the propensity for players to become extremely addicted. The problem has been so widespread that the UK government only last month moved to limit the maximum amount people can bet on the machines to £2 from £100. The machines previously allowed players to bet up to £100 every 20 seconds, tabulating massive losses in under an hour of play while generating stunning profits for the machines operators. The company was also taken to task by the regulator for lax oversight of anti-money laundering policies. The FOBTs make it quite easy for players to “launder” illicit funds. For example, a player with £100 in illicit cash playing roulette on one of the machines could place £48 on black, £48 on red and £2 on green. The maximum loss from such a bet would be £4. They then ask the company to credit the remainder to their credit or debit card and walk away with £96 of “clean” money. In the wording of the fine, the UK Gaming Commission stated that the penalties were designed to get other operators to sit up and take notice that laxity would have real financial consequences. Unibet was launched in 1997 by Swedish born founder Anders Ström in London. Watching the rapid spread of sports on satellite TV throughout the 1990s, Ström, a well-seasoned sports betting expert, quickly realized where the money was. By 2001 the company was offering over 200,000 customers in 80 countries and 12 languages online sports betting services. Over the next 20 years he would go on to consolidate 11 of Europe’s best known online gambling brands to form the Kindred Group, taking the company public on the Stockholm Stock Exchange in 2004. 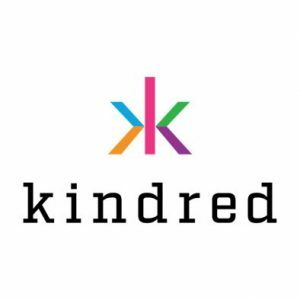 In December 2016 the company officially changed its name from Unibet to Kindred Group plc. As of the end of last year, the company had chalked up 21 million registered users across the globe. Today, Kindred group serves up what they refer to as “moneytainment” services in 20 languages including online sports betting, poker horse racing, casino games and bingo through a litany of regional and global brands that include: Unibet, Maria Casino, bingo.com, Stan James.com, iGame, Kolikkopelit, Veikkaushuone, Casinohuone, Bingohuone, Pokerihuone, Vlad Cazino,Bohemia Casino, RoxyPalace, 32 Red, Storspelare, and Storspiller. The group holds local gambling licenses in UK, France, Belgium, Denmark, Germany (Schleswig-Holstein), Italy, Australia, Ireland, Romania and Estonia as well as international gambling licenses in Malta and Gibraltar. Much of the company’s success can be attributed to it being an early mover when it comes to the mobile market. Two years before apple launched the iPhone, Unibet was already offering mobile sports betting services. By the time the mobile phone revolution was in full bloom, Unibet had positioned itself as Europe’s mobile betting experts and application of choice. Unlike many of its traditional competitors, Kindred’s 11 brands have proven fairly scandal resilient. The only major hiccup came in 2017, when the UK gambling Commission fined Kindred brand Stan James Online $107,000 for failures related to socially responsible gambling and anti-money laundering issues. The UK regulator pointed to incidences in which customers showing clear signs of gambling addiction were allowed to continue to play as well as customers depositing large sums of money without triggering anti-money laundering threshold alerts that would have forced the company to perform an adequate source of funds check. As a result of the fine, Kindred announced that it would be discontinuing the Stan James brand in the near future. First quarter revenue for the publicly traded group was strong, coming in at $278.9 million, showing a solid year-on-year increase of 36%. “After an exceptional sportsbook margin in the fourth quarter last year, the margin has normalized in the first quarter of 2018 at 8.2% after free bets. Gross winnings revenue grew by 36% as reported and by 23% organically and in constant currencies, compared to the same period last year,” said a company press release. “In the first quarter, Gross winnings revenue from mobile grew by 34% compared to the first quarter last year and amounted to 72% of our total Gross winnings revenue. Of the Group’s Gross winnings revenue 42% came from locally regulated markets,” wrote the company. The company’s first quarter 2018 press release went on to state that the group was actively exploring the possible launch of its brands in the US. Founded in 2004 in Luxembourg as Gaming VC Holdings to tap into both the business to consumer and business to business sports betting markets, the company was reorganized under the name GVC Holdings in 2010. Two years later, in partnership with William Hill, the company picked up Sportingbet in a deal valued at $711 million that saw William Hill take over Sportingbet’s Australian and Spanish operations and GVC the rest of the world. After a protracted battle with gambling giant 888 Holdings, GVC successfully acquired Bwin Party Digital Entertainment, the purveyors of the Bwin brand, in a deal worth $1.48 billion in 2016. A year later GVC picked up Landbrokes Coral in a deal estimated to top $5.3 billion in value. Today, the publicly traded company owns and operates over 10 brands, including its flagship Bwin brand, Sportingbet, the South American focused betboo, Gamebookers, Partypoker, Partycasino, the German language focused CasinoClub, the Italian market Gioco Digitale and Cashcade, the UK based online marketing company that runs FoxyCasino, FoxyBingo as well as the Cheeky and Think Bingo brands. As with all major online casino brands it’s not always been completely smooth sailing for GVC. In 2018 the UK Gambling Commission slapped the company with a $470,000 fine for deceptive advertising practices. 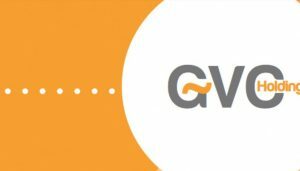 The UK regulator argued that GVC subsidiary ElectraWorks had been placing ads for free bonuses on GVC’s premier Bwin brand site that the UK Advertising Standards Authority had repeatedly warned were blatantly deceptive. After being warned and then caught running similar ads on GVC sites including PartyPoker.com, PartyCasino.com, Casinolasvegas.com, and Casinolasvegas, the UK regulator finally stepped in with a sizable fine. The Stars Group got its start in 2014 when the company borrowed $3 billion to buy PokerStars and Full Tilt Poker from Isai and Mark Scheinberg for a sumptuous $4.9 billion. 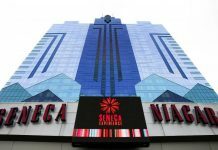 The deal rocketed the Stars Group, previously called Amaya, into the limelight as the world’s largest publicly traded gambling company. The launch, however, was not without controversy. CEO David Baazov was soon charged with multiple counts of securities fraud after an investigation by the Canadian gambling regulator. He immediately took a leave of absence and shortly thereafter stepped down as the CEO of Amaya. As of press time, his trial for securities fraud was still ongoing. In 2017, the company changed its name to its current Stars Group. A year later the company acquired Sky Betting & Gambling out of the UK for some $4.7 billion in cash and stock. PokerStars, Full Tilt, PokerStars Casino, and BetStars, as well as operating the PokerStars Players No Limit Hold’em Championship, the European Poker Tour, the PokerStars Caribbean Adventure, the Latin American Poker Tour, the Asia Pacific Poker Tour, the PokerStars Festival, and the PokerStars MEGASTACK live poker tour. Stars Group brands are currently licensed in 18 jurisdictions around the world. In 2015 a court in the US state of Kentucky ordered the firm to pay out $870 million in fines as a result of losses incurred by state residents on the PokerStars site over the period spanning from 2006 to 2011. In 2018 Stars Group was sued for $8 million by a Florida man, Gideon Van Kessel, who claimed he was never compensated for work performed as a consultant and strategic advisor over a four-year period. The lawsuit remains pending. At the end of the day it’s easy enough to see that all of these billion-dollar concerns have had their fair share of ups and downs in the scandals, fines and lawsuits department and, due to the high-risk nature of big business and the industry itself there’s always likely to be more to come. That said, as publicly listed companies, all of the above-mentioned giants come under fairly high levels of regulatory scrutiny, both from individual countries gambling regulators, and the financial market regulators in the countries in which they are listed on the stock exchange. That alone should add a degree of comfort to consumers interested in indulging in these company’s services and adds a substantial air of legitimacy to an industry historically steeped in the shadows of the internet. Much like their land-based brick and mortar counterparts in the integrated casino resort business in Las Vegas, Reno, Atlantic City, Macau, Singapore and elsewhere around the world, online gambling casinos offer their players all the thrills and spills of a real casino floor albeit with added bonuses and from the comfort of their home or office or on their mobile device on the go. With the market growing so rapidly and so much at stake, it’s a safe bet that these mega companies will only continue to innovate in their race to stay at the head of the pack and pick up market share. With sports betting now legal in the US after a landmark US Supreme Court decision, you can expect that the operators not already in the US sportsbook space to make the move in hope of tapping in to a billion-dollar market and to ensure they get their slice of the pie. At the same time, new games, more exotic bonus offers and ever enhanced end user experiences are clearly in store for the 10 of millions of punters and players keen to indulge and possibly win big in the online casino gambling market.